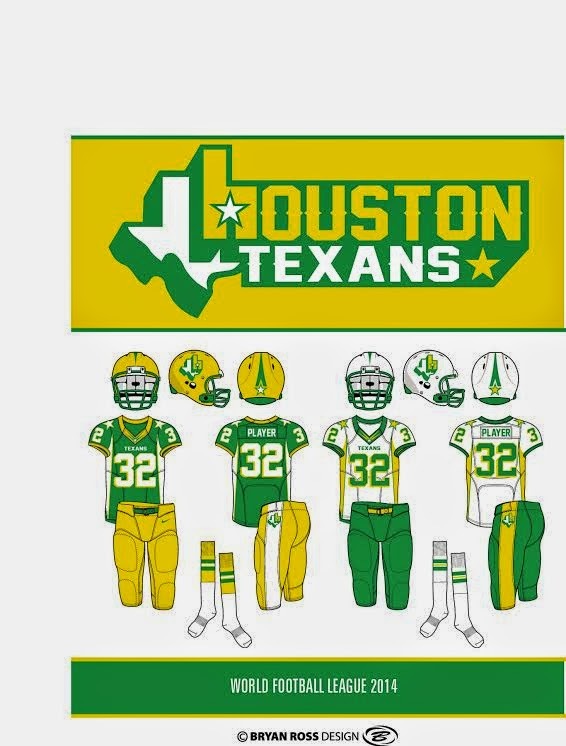 This is a look at the designs submitted for the Houston Texans WFL franchise. 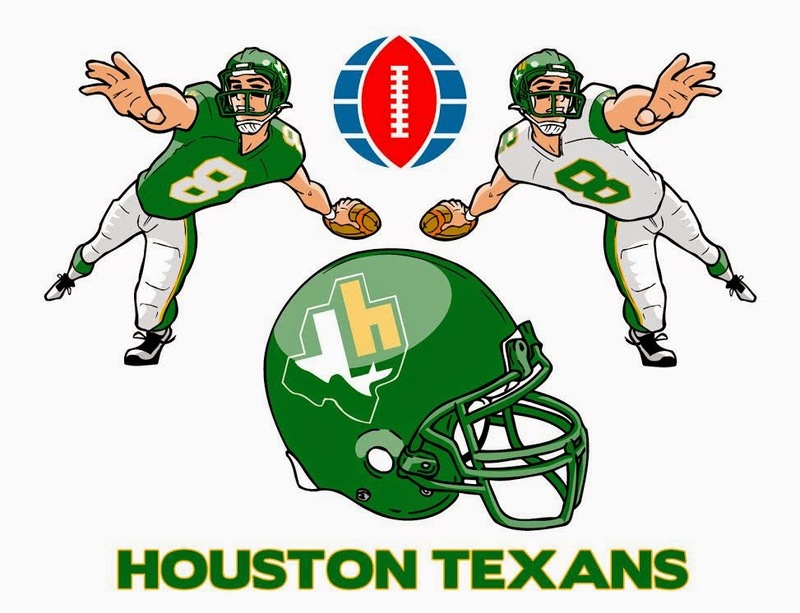 LOGO - just a basic "HT" which is connected and state of Texas with a star. Colors- dark green, gold and white. Star shaped sleeve striping adds a bit of character. Made the road pants gold. 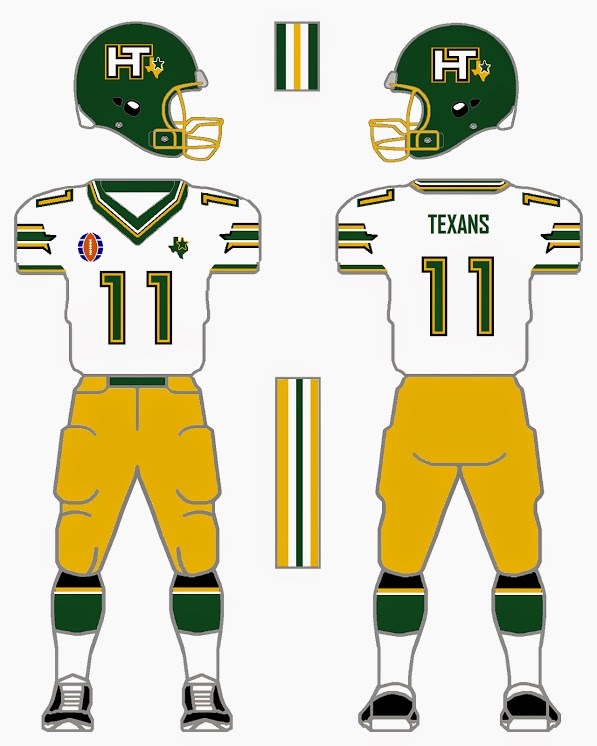 State of Texas/star patch to chest as well as WFL logo. 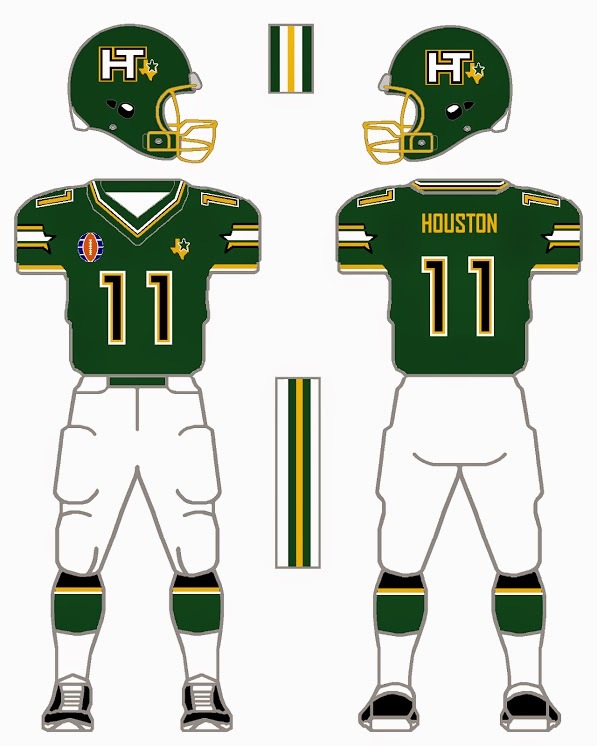 The team moved back to Houston in 2002 but since the Houston Texans had already set up shop they changed their name to the Houston Rattlers (the Timber Rattlesnake is the offical "Rattler"). Their colors changed to Black, Copper (not orange or brown even if it looks that way), and White. In 2014 the team decided on a modern upgrade. Because they aren't subjected to the NFL's strict uniform policy they have two different helmets and some gradients. 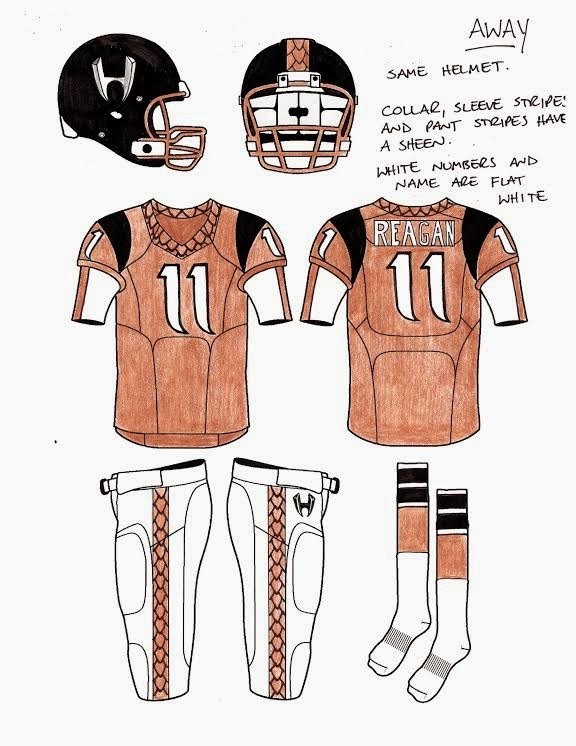 The helmet is matte black with Metallic Copper striping and facemask. 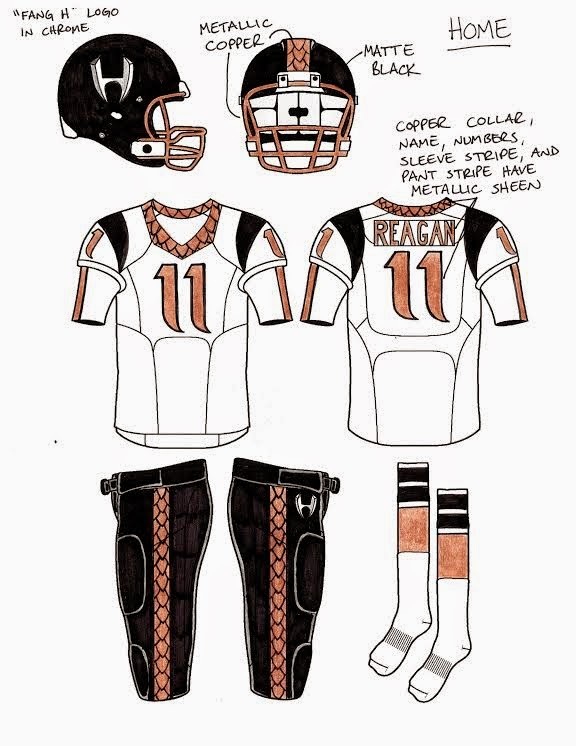 The scaled panels on the jersey and pants are more subdued than illustrated. Those panels feature a flat copper with copper sheen details that reflect the stadium lights. 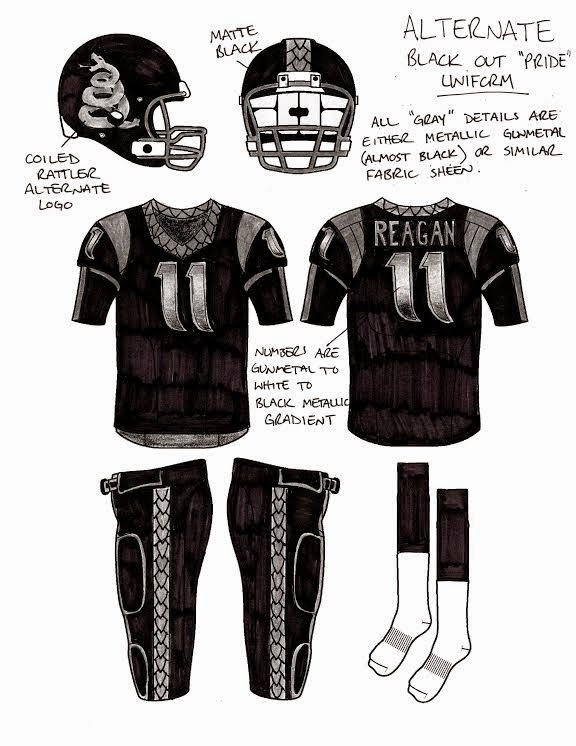 The "Pride" uniform features the return of the "Coiled Rattler" logo and Metallic Gunmetal details.